The Department of Occupational Therapy’s Institute for Mobility, Activity, and Participation (I-MAP) team is working in collaboration with the University of Alabama at Birmingham and the City of Gainesville to better understand the perception, values, beliefs and attitudes of drivers 65 years and older as it relates to emerging autonomous vehicle technology. Researchers will study these components utilizing the driving simulator located at the UF Smart House in Oak Hammock and the Autonomous Shuttle currently in pilot testing in the City of Gainesville. The implications of this research project may result in assisting stakeholders (e.g., city and state officials) to develop, modify, and adapt training for future implementation of autonomous vehicles. The findings will also provide a vital perspective into the human preferences for autonomous vehicle technology. Future research (i.e., Phase II) will be conducted to explore the perception, values, beliefs and attitudes of young and middle age drivers. This will provide a meaningful comparison and perspective of drivers across the lifespan. 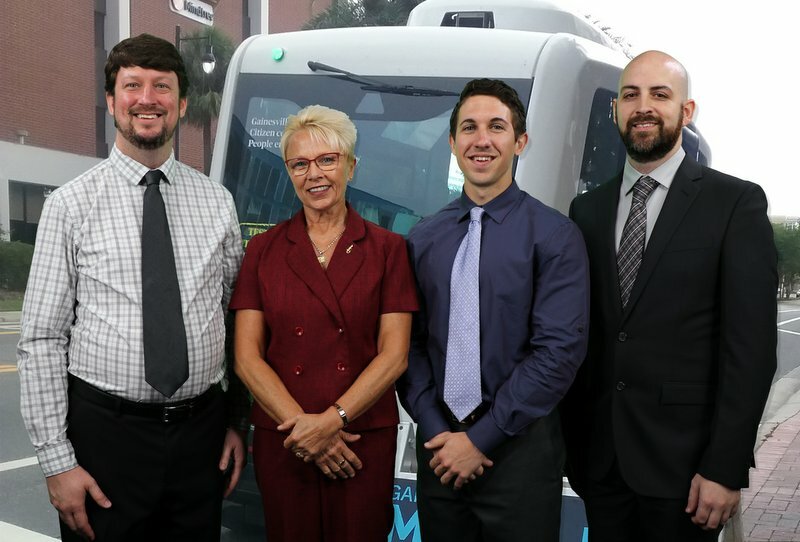 The autonomous shuttle was featured in The Gainesville Sun.